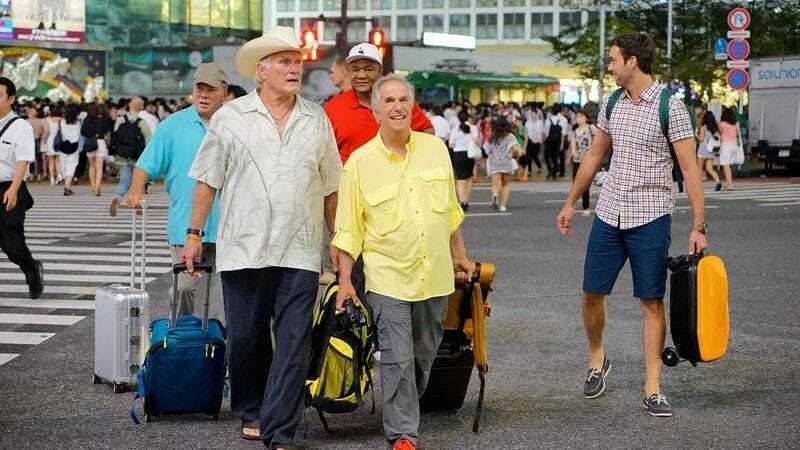 Over the summer, while America was still coming down from its globe-trotting Olympics high, NBC aired a four-episode reality series called Better Late Than Never that saw famous older dudes Henry Winkler, William Shatner, Terry Bradshaw, and George Foreman traveling around Asia with comedian Jeff Dye. Together, they learned some new stuff about Asia, specific cultures they were unfamiliar with, and even themselves, with each of the older dudes and the one younger dude probably coming away from the experience as a more well-rounded person—or maybe they just had a nice vacation on NBC’s dime, we don’t know. Now, according to Variety, NBC has renewed Better Late Than Never for a second season. A new location hasn’t been announced yet, but the entire original crew is expected to return. Also, the Variety story points out that the series is based on a show that airs in South Korea and China called Grandpa Over Flowers, which is a much better title.